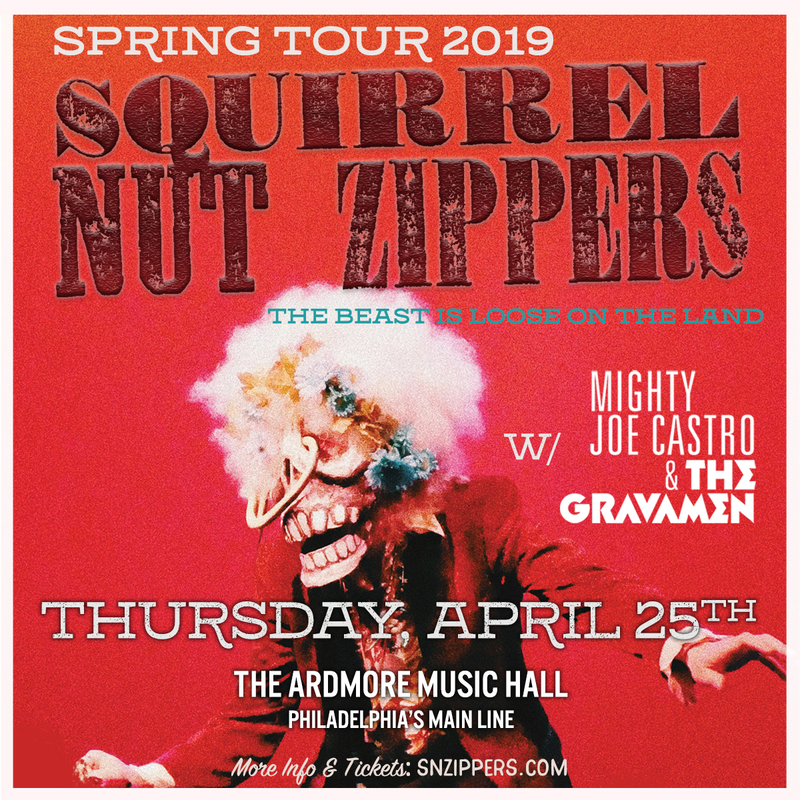 We are excited to announce Mighty Joe Castro and the Gravamen will be opening for the Squirrel Nut Zippers at the Ardmore Music Hall on Thursday, April 25. Tickets are $25 in advance and are available here. Get yours now before it sells out! Doors at the Ardmore Music Hall open at 7:30pm. The Gravamen hit the stage at 8:00 PM sharp.